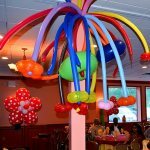 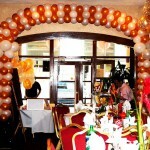 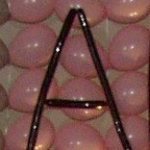 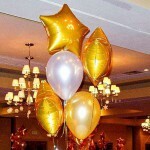 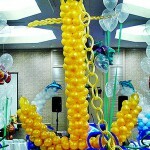 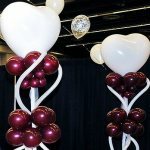 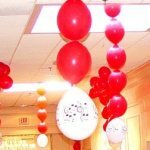 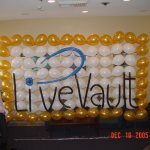 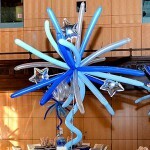 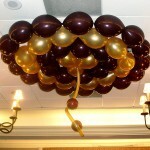 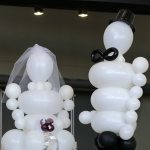 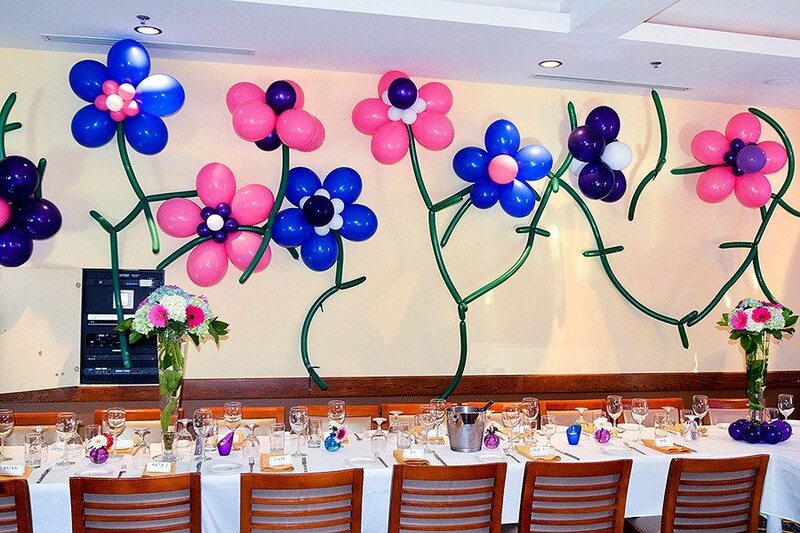 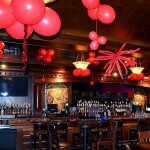 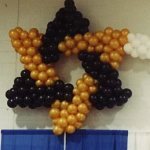 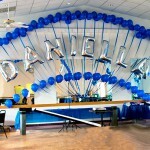 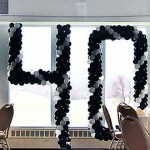 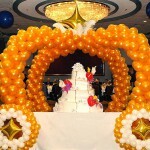 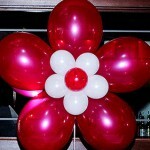 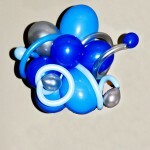 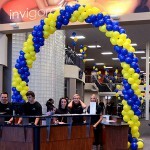 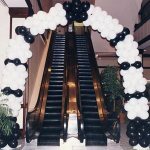 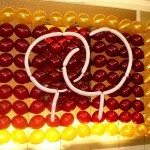 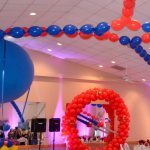 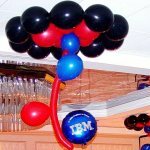 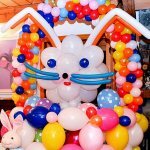 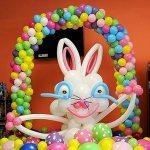 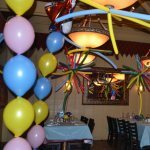 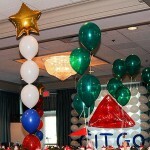 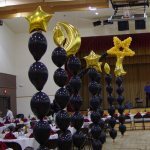 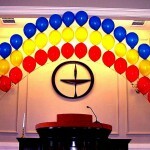 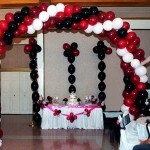 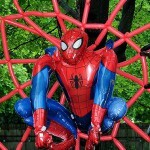 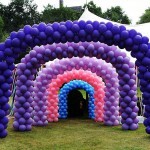 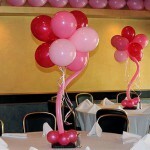 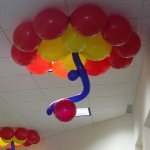 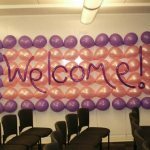 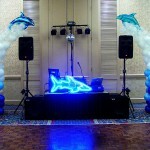 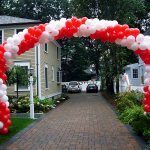 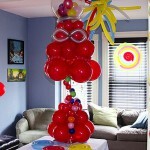 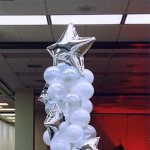 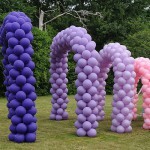 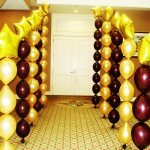 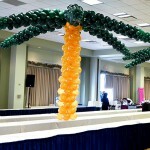 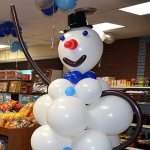 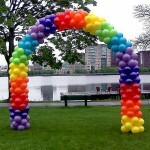 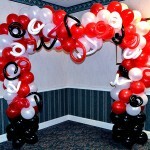 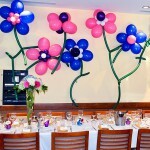 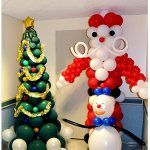 Very simple and very effective way to decorate the party room - background filled with balloon flowers. 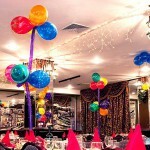 Not following any particular pattern, just filling up the space with the colors of the party. 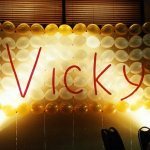 The birthday girl (5 years old) was delighted!